A mile off the Andros Great Barrier Reef, surrounded by deserted islets and deep Blue Holes, Kamalame Cay is a world-class destination for divers and snorkelers. 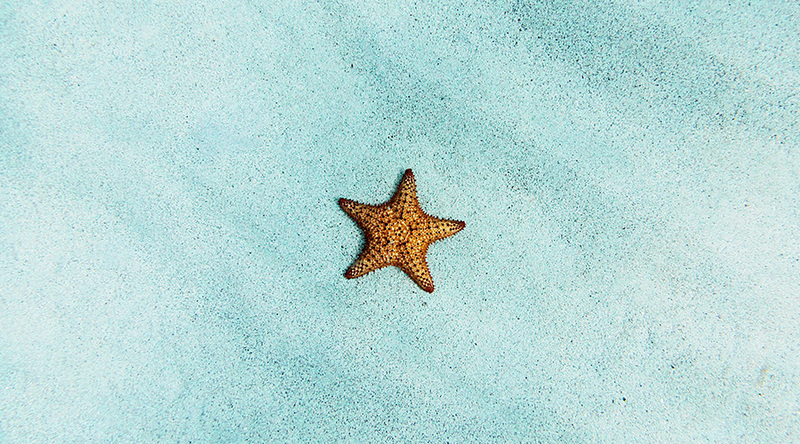 The region's abundance of marine life rich sites viewed through the translucent waters of the Bahamas with 100-foot visibility, the island's fully equipped Dive Shop, staffed with PADI-certified professionals, offers a comprehensive range of excursions as well as dive lessons and certification. 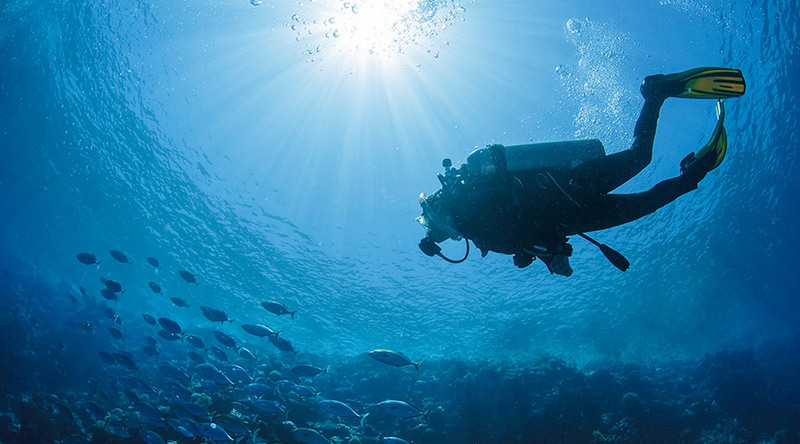 Accompanied by PADI professional at all times, our two-hour crash course in diving will teach you the basics. 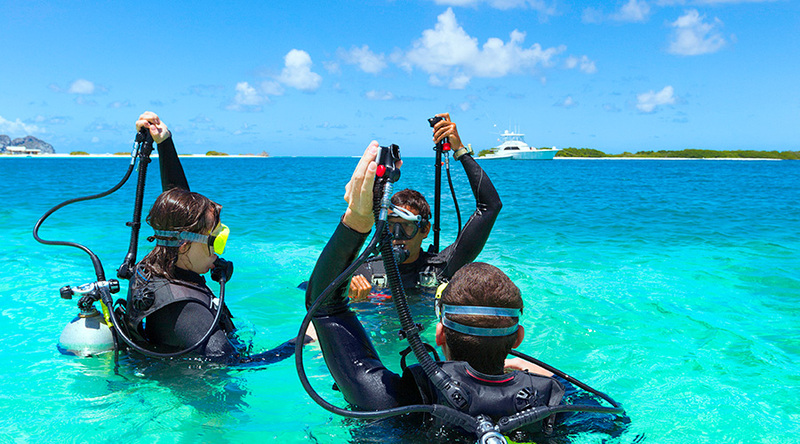 Our Resort Course can count towards first dive in the Open Water course, if required. Allow us to arrange a morning or afternoon private dive. Morning dives are 8:00 am to noon, afternoon dives are 1:00 – 5:00 pm. Our PADI Open Water Course enables you to go to 18m/60ft with a buddy at any dive centre in the world. Entry level certification. Includes 5 confined water dives and 4 open water dives on the reef. All equipment included in price. Maximize your time with our E-Learning PADI Core Training course featuring options for PADI Scuba Review, PADI Scuba Diver, PADI Open Water, PADI Adventure Diver, PADI Advanced Open Water, PADI Rescue Diver, and PADI Divemaster. Rates vary depending on number of divers and selected program. Please contact the Dive Centre to discuss PADI Divemaster pricing. 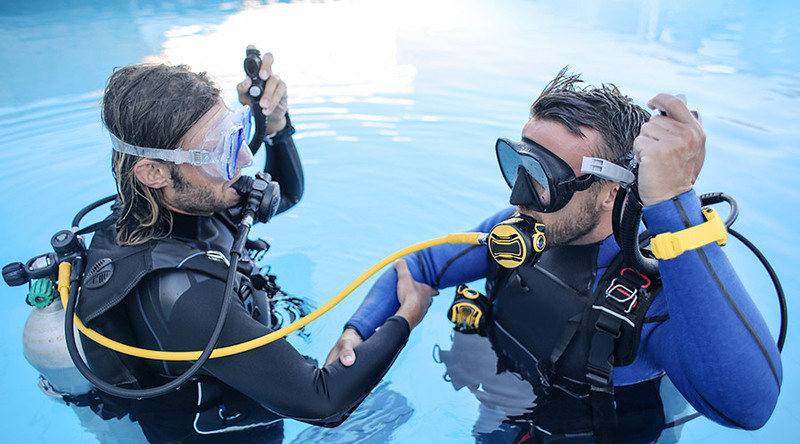 Sharpen your scuba diving skills with our On-Site PADI Core Training course featuring options for PADI Scuba Diver, PADI Open Water, PADI Adventure Diver, PADI Advanced Open Water, PADI Rescue Diver, and PADI Divemaster. Rates vary depending on number of diver and selected program. Please contact the Dive Centre to discuss PADI Divemaster pricing. Just offshore, the world’s third largest coral complex remains untouched because of its remote location. 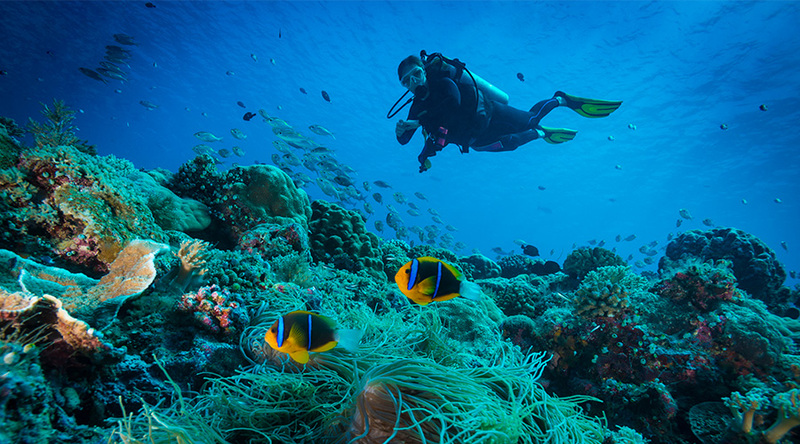 The adventure here is exploring this stunning marine ecosystem through the resort’s PADI-certified dive centre.